I found this rubber covered washer in my truck. I actually vacuumed it up, but I don't know whether it was in my driver's door or under the passenger floor carpet. Eric did work on my door, and my door was all apart when I got my truck. But, years ago, the dealer changed my leather under warranty. I had the carpet pulled back to dry it out due to a leak. The washer was stuck in the vacuum. I didn't even realize I vacuumed it up. So, it either belongs somewhere in the door or maybe somewhere bolting the seat in. Might be an Illegal immigrant! Don't look like anything in the SSR. DOOPHUS, nj6969 and PokerGuy like this. What is the size of it across it? With the rubber cover it is 1" across, without 7/8" across. The inner hole is 1/2" across. There is a similar looking piece on the front control arm bushings but it is quite a bit larger so its not that. Sorry no help here. Looks like a drain plug washer! Please don't be offensive. The proper term is illegal ALIEN. Thank you. Could be the rubber for the Muffler Bearings or the Blinker Fluid?? I doubt it...I vacuumed it from either under the passenger carpet or inside the driver's door. 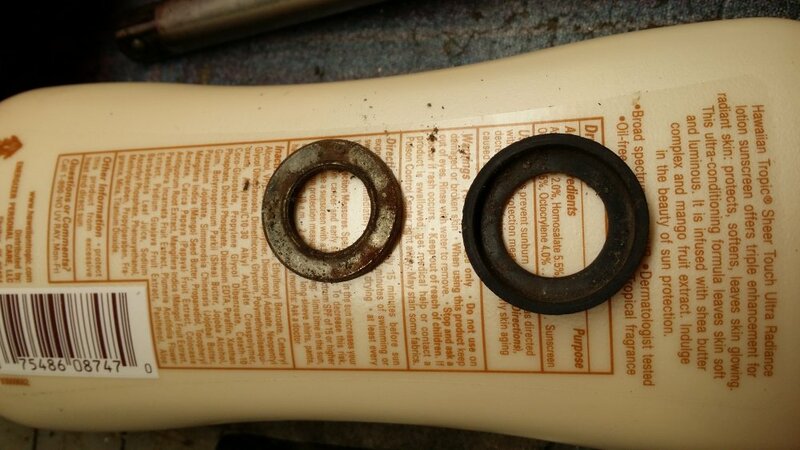 I’m pretty sure that washer is for the thermal fluid link connector from a 1958 shfitzvaul. Is that rubber outside and ceramic inside? 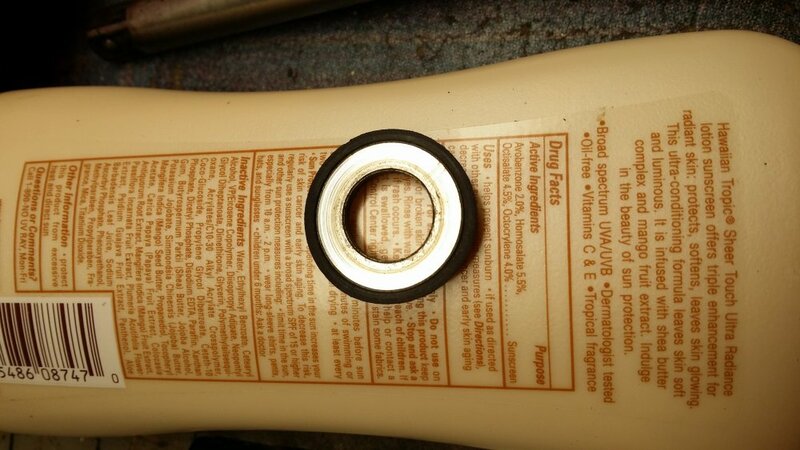 If if it is it would be a washer that seals a motor shaft, preventing water (or other fluid) from leaking. 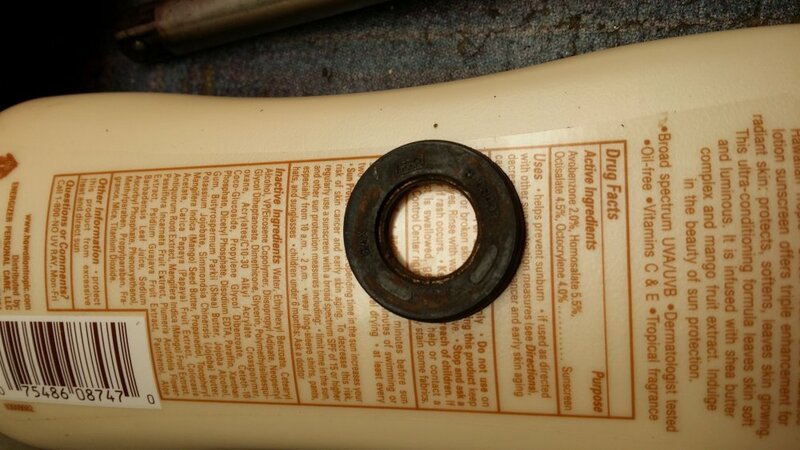 It looks very much like a sealing washer that is used in a pool pump. But I could be all wet. If this was a pre-owned vehicle, this looks exactly like a washer off of a medical oxygen tank regulator. It. Ensures the seal between the tank and the regulator. They do fall off the regulator often and become lost. MAYBE, just maybe, it looks to me like a washer that would be used to hold down a plastic part. The rubber being there so you don't break the plastic part by overtightening? Some plastic cover behind the pass seat? Maybe? I really don't have a clue. It could be the vibration insulator for the Zackley switch under the seat. Nope, it Immigrated illegally from another vehicle!!! This might not work but it is worth a try. Sometime when they are not very busy go to your local Chevy dealer, to the parts department, and ask them if they ever saw one and what does it go to. Many of the guys have been there for years and are very knowledgeable and helpful. May take one look at it and say exactly what you want to hear. Worth a try.